Blockchain and business have a bright future together. If you want to learn more about the real-world impact of blockchain tech and cryptocurrency, this is your chance. February 22, 7:00 to 8:30pm, join Málaga-area professionals for a introductory-level talk on blockchain: what it means for the future, and how it can solve emergent problems. All are invited to join this lecture. Please RSVP on this page, and feel free to invite a guest who may be interested in the subject. 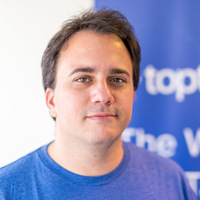 The event is hosted by Ramiro Palacios, a Toptal recruiter and leader of the Málaga Toptal community. For questions, contact Ramiro directly.